Cualquier Verdura could be a dream house. Or a fantastic invention created by the minds of two siblings with plenty of imagination. 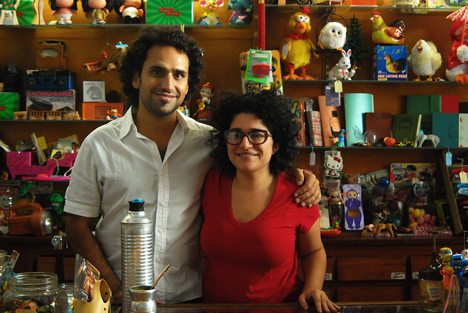 These two, Violeta and Esteban Brenman, took this house and transformed it into a store. “Everything in this house is for sale”, they say. So we find clothes, furniture, kitchen and bathroom stuff, lots of toys, chocolates, plants, books and so on. We find there everything we could find in an actual house. 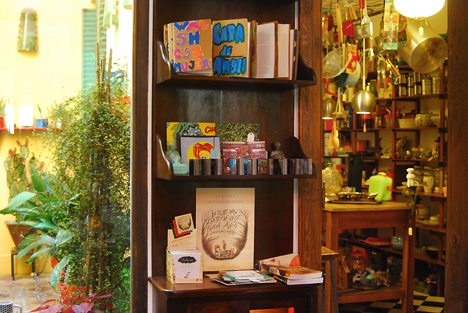 Cualquier Verdura is located in San Telmo, a historical neighborhood. Its name means literally “any vegetable”, but in Spanish it also means “anything” in a familiar and fun conversation. “Our first idea was to create a place resembling a grocery store, but instead of vegetables and fruits, we would put objects in those boxes. But when we saw the house we decided to keep its physiognomy and sell each thing in the room they belonged to. We love the name, though”, Esteban recalls. Both Brenman siblings confess they would love to enter the house for the first time, as new customers do. “I envy those who come and see it as it is now, I watched it grow, I’m not objective anymore. Anyhow, I love to be here, have some mate in the patio, sit on the bed to watch TV, eat biscuits in the kitchen or have dinner in the dining room with friends, it’s almost a second home”. People love this place. They want it all, of course. “It’s the ideal place to buy a gift, it’s easier to buy gifts than choosing someone for oneself”, says Violeta. “We’re still amazed by people’s reaction”.